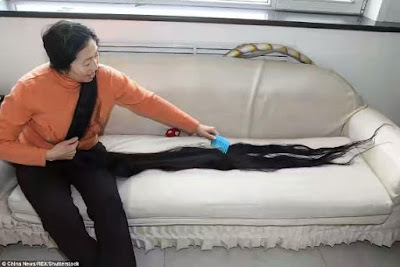 A 60-year-old woman identified as Ni Linmei from China's Shanxi province in china, has grown her hair to 11ft and 9inches since 1998. 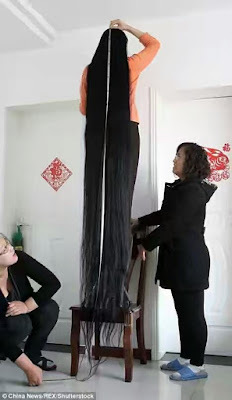 According to report, she is nearly into the Guinness Book of World Records but has some way to go. 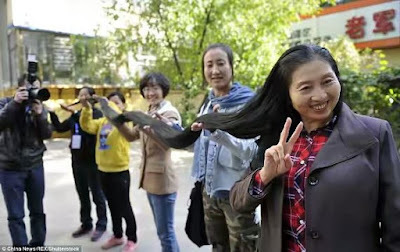 Having such gorgeous locks can be sometimes, time consuming, as she got her hair confine in an elevator, spending all of two hours in just a day washing and drying it. 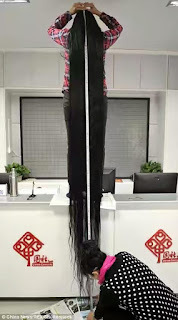 The current world record holder for longest documented hair, she set the record in 2004, when Guinness adjudicators measured her hair at 18 feet, 5.54 inches. 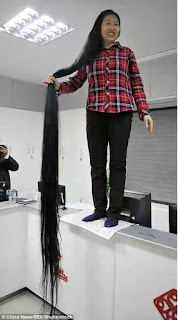 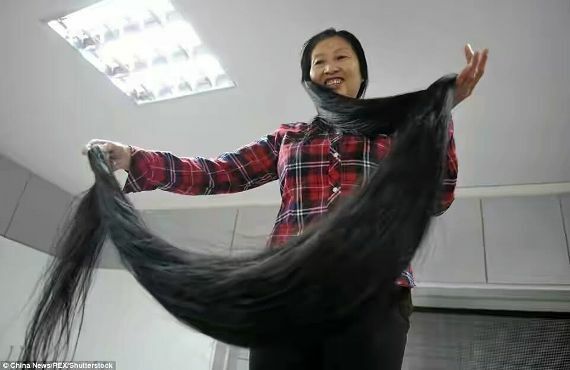 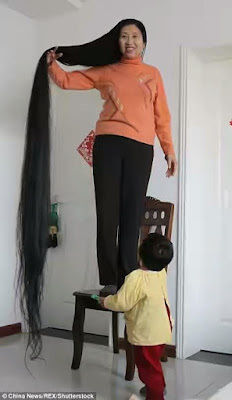 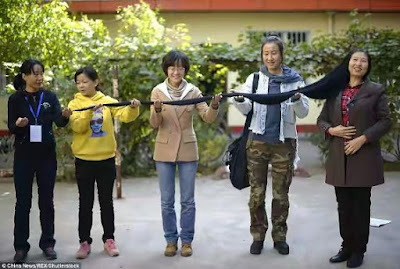 It took her 31 years to grow it that long, belongs to Xie Qiuping of China.